Graham Horner, a Hassocks commuter has been raising awareness about the effect of proposed timetable changes on the village's train services (photo submitted). Losing direct trains to Clapham Junction during early mornings would be ‘devastating’ and ‘utterly unacceptable’ for Hassocks commuters. Govia Thameslink Railway, which runs Southern, Thameslink, and Gatwick Express services, is currently consulting on major timetable changes due to be introduced in 2018. The rail operator claims that as a result passengers will have faster, easier, and more seamless journeys into and across central London. However commuters from Hassocks have opposed the removal of direct services to and from Clapham Junction during peak times, with peak trains to both East Croydon and Brighton also due to be reduced. Catherine Cassidy, chair of the Hassocks Amenity Association Rail Group, said: “Although the off-peak timetable at Hassocks will be improved from three trains an hour to four trains an hour with two Thameslink trains and two Southern trains, the loss of the direct morning peak trains to Clapham Junction will be devastating for those commuters who have to change at Clapham Junction for London Waterloo or to destinations such as Wimbledon, Richmond or Reading, many of whom have purchased homes in Hassocks because of the direct train link to Clapham Junction. “GTR are presently running a consultation for customers to feedback their comments but it seems that many are not aware of this or the changes which are proposed. Graham Horner, a Hassocks commuter who travels through Clapham Junction on his daily commute, is one of several residents who been raising awareness about the changes and is urging fellow train passengers to respond to the consultation. He said: “Admittedly, there seem to be more off-peak services from Hassocks but this seems completely out of tune with the population’s needs: Hassocks station is primarily a commuter’s station. “Peak services are what really matters. Hassocks has been slated for huge housing development – the recent approval of 90 homes at Ham Fields and more applications going through such as Friar’s Oak. Mr Horner explained how Hassocks is an important station serving not only the village itself but Hurst, Ditchling, Henfield, and even Patcham. Another commuter who contacted the Middy explained how removing the direct services to Clapham Junction would be ‘utterly unacceptable and will inconvenience a large number of commuters from Hassocks’. 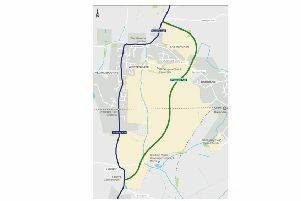 A spokesman for GTR said: “Under the current proposals for Hassocks station, in the peak it will be served by Thameslink to / from East Croydon with up to 4 trains per hour (tph); we are aware that there is a reduction to Clapham Junction and also from Brighton. To comment email gtr.timetableconsultation@gtrailway.com or visit the consultation’s website.